Pets are certainly a part of the family. But, just like family members, they can do things that get on your nerves. Like getting into the garbage. You could constantly keep fighting with your dog to keep them out but let’s face it, some things can be a losing battle. That is where dog proof bathroom trash cans come in handy. 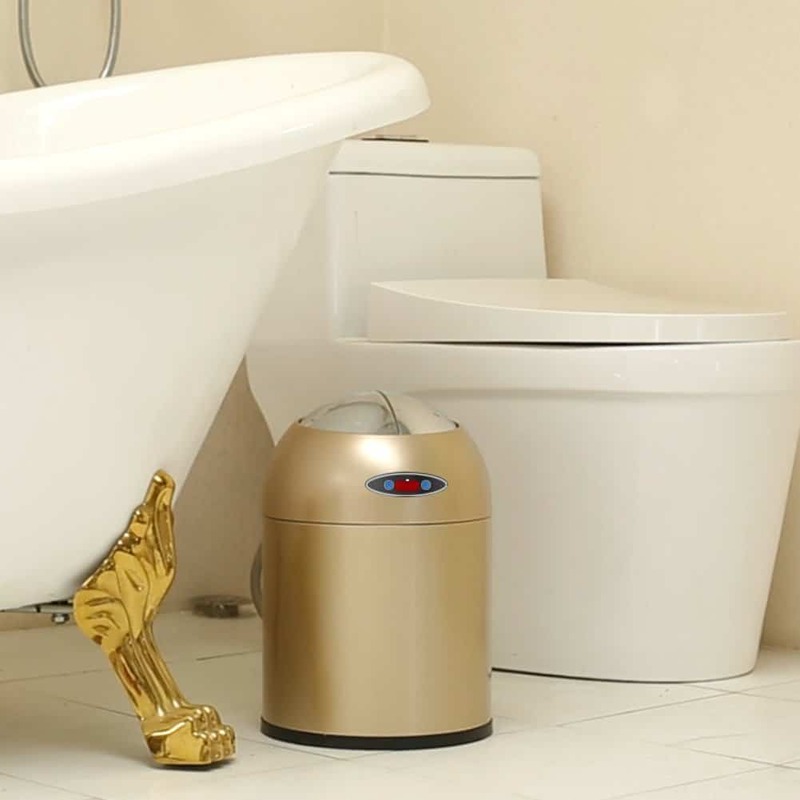 Check out some of the best and effective Bathroom Trash Cans below! If you don’t like to get your hands dirty with all the germs that can get on a trash can, you need this Duplay No Touch. It closes up tightly to keep out dogs. It is great for use in many different areas, not just the bathroom. Plus, it keeps all odors in and so dogs and other things will be sure to stay away. Easy fit. Great for use in many different spaces. Non-skid. It will not slide around any surfaces. It stays put. Easy to clean. This is important because trash cans can get so dirty. You can check out more info on this dog proof trash can in this link. Fortune Candy Rectangular Trash Can. Sometimes a bigger trash can is a better pick for some people. You can check out this Fortune Candy trash can that keeps dogs out at Amazon. It has a nice convenient pedal that opens the kid making it touch-free It stainless steel design is not only rust free but sleek and stylish. It is large. – This makes for much less changing. It has a tight closing lid. – This keeps dogs out and any odors in. The locking hatch provides extra safety from dogs by locking the lid tightly and securely. Anti-slip bottom. -This keeps the trash can from moving across the floor making it harder to knock it over. 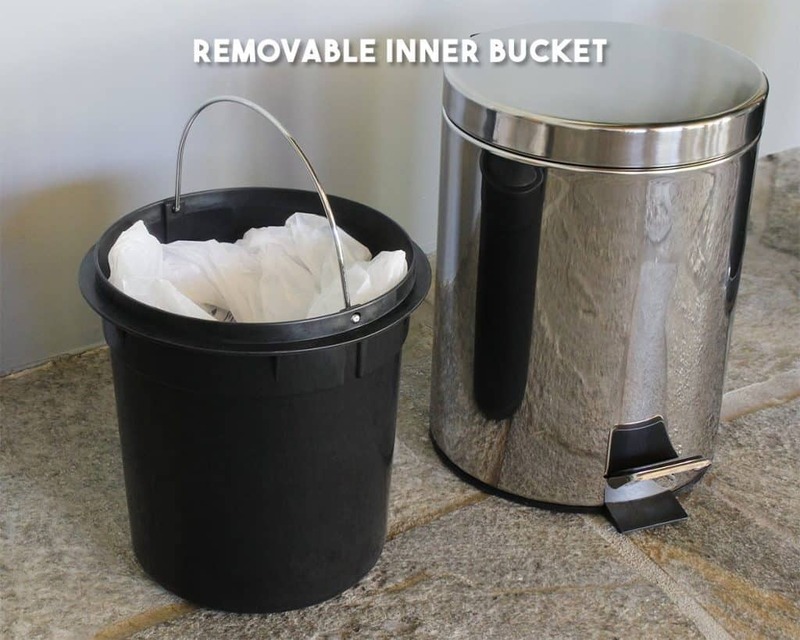 The removable inner liner makes clean up and trash removal simple. 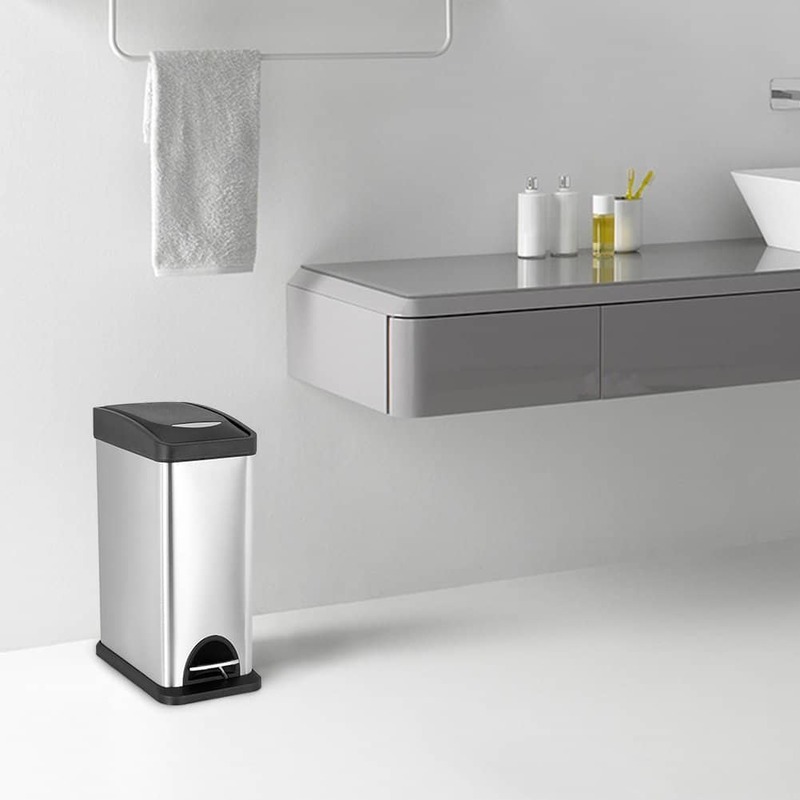 The Bino stainless steel trash can is a much smaller can that can fit right next to the toilet or by a sink. So, not only stylish and sleek, it is small and easy to fit in any space. Of course, it keeps dogs out too! The inside bucket makes clean up a breeze. Check out some of its features below. Pedal to life lid. Makes it touch-free. No more touching germy trash cans to throw away napkins after hand washing. Sleek design. It can fit into many different workspaces, offices, or bathrooms. Top of the line stainless steel. Cool design. It has a classic design. 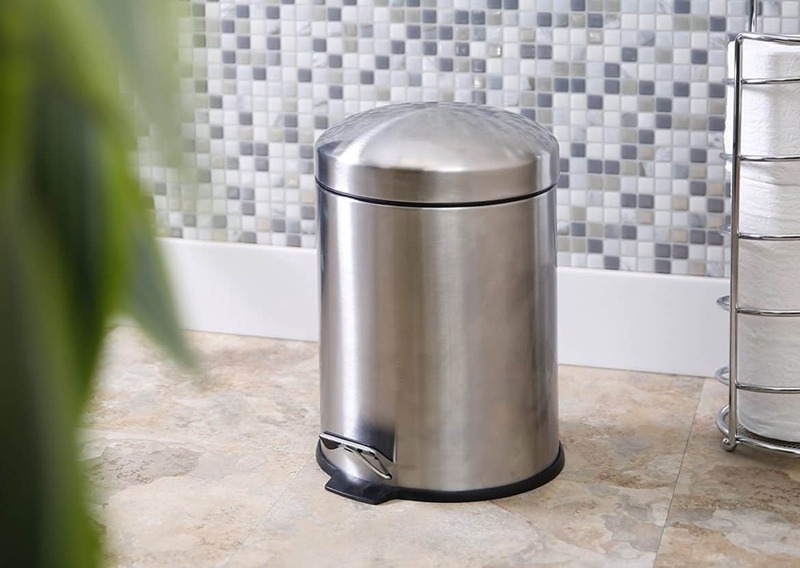 The Juval stainless steel trash can is made with the best quality. It is not only super sleek with its clean design, but it is super adorable. It also has a inside bucket that slides in and out to make cleaning easy. Not only is it sturdy but great at keeping the furry friends out with its tightly closing lid. Step pedal. This makes it hands-free. Removeable inside bucket. Cleanup is simple. Fits in many small spaces such as the bathroom. You can find more information about the Juval stainless steel trash can at Amazon. Simple Human Rectangular Trash Can. The Simple Human Rectangular trash can is made to keep dogs out and trash in. 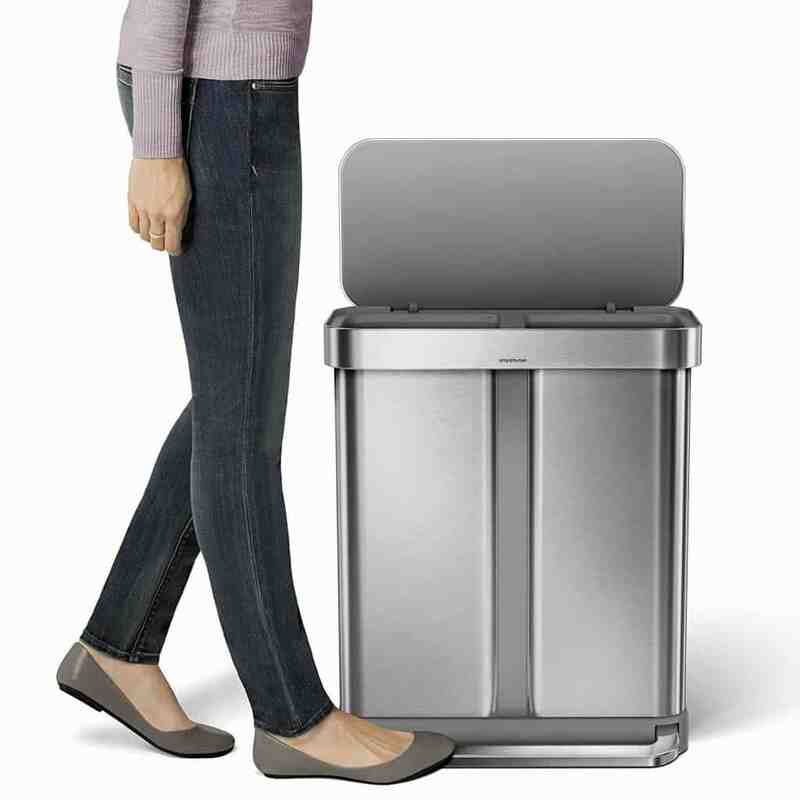 This trash can was designed to keep things clean and tidy. Never before has there been a more affordable dog proof trash can that is not only stylish but easy to clean when messes spill over. You can read some of the features below. Comes with liners. – This makes the trash can bags fit properly. Clean up is simple. – Never before has there been an easy to clean trash can. The liners make for a quick clean. The lid closes quietly. – No loud banging when you let off of the foot pedal. Durable. It lasts for a long time because it was built to be durable. Liner rim. This keeps the liners from being visible and accessible to pets. Hopefully, you now have a better choice of the best dog proof trash cans. We all know that pets like to get into the trash and that is why these trash cans are so essential. You can find more info on dog proof trash cans in this YouTube link. Thanks for reading!